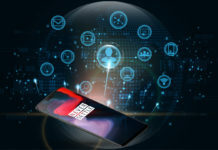 OnePlus 6 has a bag full of tricks! 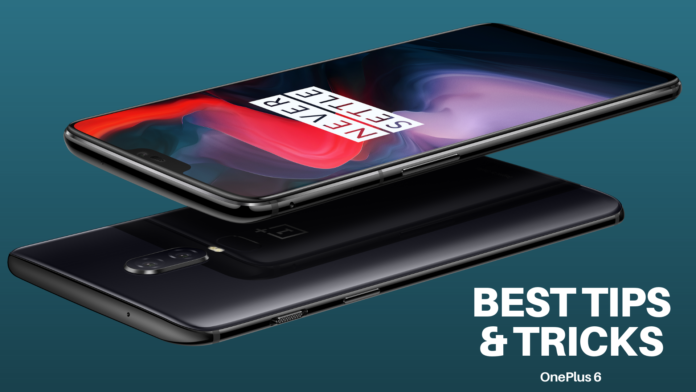 With an unforgettable campaign of ‘Flagship Killer’ and terrific products to follow suit, OnePlus has captured a significant smartphone market share. Their products deliver on timely Android updates and a superior value for money performance. With newer OS updates, OnePlus has added neat features like a ‘Hidden Space’ for apps. To access this space, from the App Drawer, swipe right to reveal a space on the left. To add apps here, tap the ‘+’ icon on the top-right corner. You can add as many apps as you want to this hidden space, just ensure no one else knows about it. Dual-SIM phones are cool but they have a limitation of letting only one number work for WhatsApp. 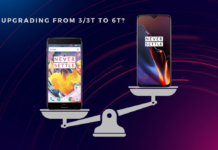 However, OnePlus devices have a trick up their sleeve with the Parallel Apps feature. This can be found in Settings -> Apps -> Parallel Apps. From here, select WhatsApp and add your secondary phone number. Choosing this will enable you to run a ‘parallel’ version of the same app using a different account/phone number. Cool, right?! We seem to have almost forgotten about ‘widgets’ – an Android OS feature that made it stand out against iOS in early years. However, setting up and using widgets on OnePlus 6 is pretty simple. A long-tap on any blank area in the home screen will reveal 3 options at the bottom, with the middle one being widgets. Tapping on it gives you all possible widgets that you can have on your phone’s home screen. Dragging them by long tapping and then adjusting the size is simple. Try a few before finalising the one you find helpful. Another good feature that you can utilise is the auto call record. Especially if you’re the forgetful type and have difficulty remembering what your wife asked you to get for groceries. Open the phone Dialer app, then tap the 3-button menu on the top right corner. Next, tap Call settings and then tap Call Record. Toggle the Auto-record calls option on. From here, you can also specify if you wish to record calls for certain numbers or all numbers. If you want to maximise the screen space and are ready to embrace gesture-based navigation, then do away with on-screen buttons. These can be found in Settings -> Buttons -> Navigation bar & gestures. For a better understanding of how these gestures work, ensure you watch the tutorial. It might take time getting used to but the pay-off will be worth it. There are more gestures that can be utilised to either wake up the phone or directly launch the camera app from the lock screen. These are available in Settings -> Gestures menu. Go through the various options to see which suit you the best. Swiping up to answer calls, only to realise that you rejected it? Well, OnePlus users may be used to this but users coming from other brands may not. A simple way to overcome this is to launch the Dialer app, tap the 3-button menu and then tap Settings. Here, simply toggle switch the option Swipe up to answer. It’s 2018 and unfortunately, notches are a thing. The OnePlus 6 has one too but there is a way to hide it, if you’re not a fan. Navigate to Settings -> Display -> Notch display. From here you can either choose to hide the notch completely or let it show, if that suits you more. From the home screen, a swipe to the left screen will take you to a redesigned ‘Shelf’ area. This place can hold information of your membership cards that don’t need to be carried in their physical format. Oxygen OS has a slightly different way of changing certain settings like choosing a custom icon pack. The Home Settings can be accessed by long-pressing in an empty space on the home screen. This is also the place where you can choose if you want to add newly installed app’s icons on the home screen, use the ‘Shelf’ as well as ‘Notification dots’. In the app drawer, there is a persistent ‘Search apps’ bar at the top. To its right is a 3-button menu which gives you access to the option Enable quick search. This setting triggers the search menu every time you pull up the app drawer. Finding the setting for this can be tricky, since it’s neither in the camera settings nor security (where fingerprint settings are usually found). In fact, these can be found in the same ‘Gestures’ settings we spoke of earlier. Navigate to Settings -> Gestures and toggle the switch on the option Long press to take a photo. This will enable users to long press the fingerprint sensor. A slow-mo mode is added to the camera features of the OnePlus 6 and this time it can record at 240 frames per second (fps) at full HD resolution. This setting can be found in the camera app itself and you can enjoy watching fast-moving objects in slow-motion. You can go even slower with a 480fps video capture, which will have a resolution of 720p. Dive into the Settings menu and then make your way to the Display section where you can toggle switch the Ambient display option. This will enable you to look at notifications as you pick up your OnePlus 6. It’s annoying for gamers to be bothered with notifications while gaming. Recognising this need, OnePlus has added a ‘Gaming mode’ feature. This setting can be found in the Advanced section of the Settings menu. Enabling it ensures you are in DND mode for all games or a handpicked few. So, how is this any different from simply turning on DND? Well, Gaming Mode actually allows you to choose which games need to get this feature. Having LED notifications is cool but how about customising them to know if an app sent you the notification or something else? Well, with the OnePlus 6, you can. Go to Settings -> Display -> LED notifications. Here, you can pick the colour for default app notifications and others for battery charging and when it’s full. The OnePlus 6 also caters to the audience which wants a more natural or a more punchy looking screen. The nature of display can be a personal preference for many and it makes sense to give that option to users. Go to Settings -> Display -> Screen calibration. The sRGB option here is the most natural looking but the overall effect might feel dull to some users. You can select the one that looks the best, to you. Accidentally turning on the torch feature even when it’s in your pocket? Make use of the Pocket Mode. Head to Settings -> Advanced -> Pocket Mode. This should take care of the unindented mishaps while your phone was in the pocket. If you want to maximise the 6.28-inch display, then one option is to reduce the text and display size. You can do so by going to Settings -> Display -> Display size. Drag the slider to the lowest value on the left and see the difference yourself! OnePlus introduced the Reading Mode a while back. You can enable this quickly from the drop-down notification shade. However, since the display will turn monochrome, it is important to use this mode wisely. Recommended most when you’re reading at night, or for a long period of time. One of the standout features for the past few OnePlus phones is the alert slider. It enables the user to quickly switch from ‘Ring’ to ‘DND’ to ‘Silent’ mode with the help of a physical slider. The 3 modes from the slider can be further customised by navigating to Settings -> Alert slider. Especially in the DND and Silent modes, there’s a lot to tweak around. The quick settings tiles are always an easy pull-down action away from being accessed. And if you want your favourite actions to be in the middle or towards the right, or however else, that can be easily done. From the pull-down, tap the ‘Edit’ icon and change the layout to your liking. A standard screenshot may not be able to capture your entire conversation with your best bud. But with an extended screenshot, you can. The way to do this is simple, take a screenshot and then tap the ‘extended screenshot’ icon at the bottom. This will immediately begin the process of taking a longer screenshot. To pause it, simply tap anywhere on the screen. Finding the Settings inside the default camera app of OnePlus 6 is a bit tricky. Pull up the Option slider after launching the camera app and you will then find the familiar settings gear icon. Tap on it and mute the shutter sound, introduce grid lines to improve your photography and explore more. 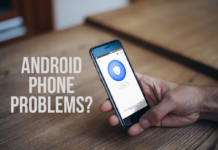 If you want to stop others from accessing your private conversations, then you can utilise this feature to have your fingerprint unlock certain apps. Go to Settings -> Security & lock screen -> App locker. Tap the Add apps option here to add apps which you want to be secured by your fingerprint. You can add multiple apps here and the fingerprints registered to unlock the device will also work to unlock the app(s).